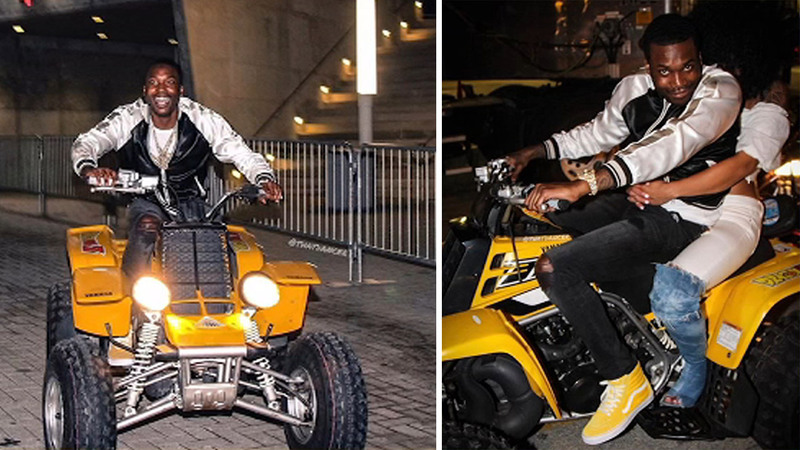 INWOOD, Manhattan (WABC) -- Meek Mill is taking on community service after authorities say he drove motorcycles and ATVs recklessly in Upper Manhattan earlier this year. The 30-year-old rapper, whose real name is Robert Rihmeek Williams, agreed to perform 30 days of community service (20 of which have already been completed). All charges will be dismissed if Mill stays out of trouble for six months, as part of the adjournment in contemplation of dismissal, a standard plea arrangement. Mill was originally charged with a felony for the Inwood incident in August, but prosecutors agreed to misdemeanor charges after his first court appearance. He was arrested after appearing on the Jimmy Fallon show. Video posted on social media showed him doing wheelies on his dirt bike, which he was riding without a helmet. "This swift resolution vindicates Meek and clearly shows how outrageous the police department's conduct is in this case," Mill's attorney, Joe Tacopina, said.